Nimisha Sajayan and Rajisha Vijayan are two young actresses in Malayalam film industry who have won Kerala State Best Actress awards. Both of them are very choosy with there film selection and are good performers. Now both of them are joining hands for a new project. Director Vidhu Vincent who bagged Kerala State Best Director Awards for her debut film “Manhole”, is ready with her new project. 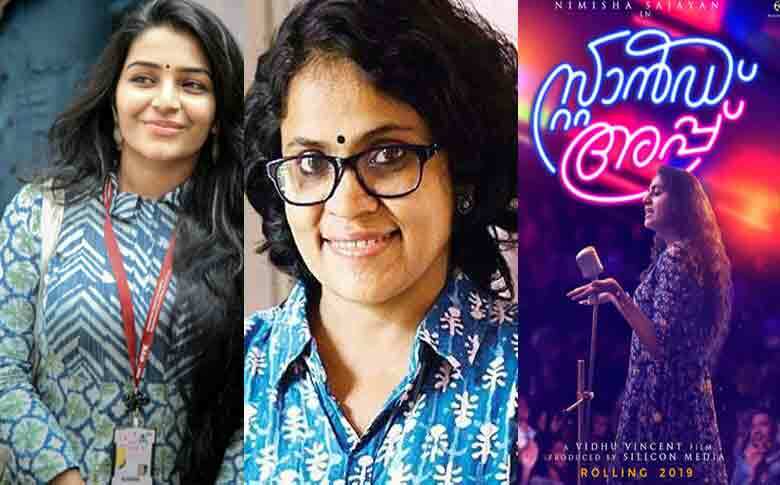 The project is titled as “Stand Up” and will star both Nimisha Sajayan and Rajisha Vijayan. The movie is a story of two women, among one being a stand-up comedian. Actress Nimisha will be playing the stand-up comedian role. Actress Rajisha’s character is currently under the wraps. The script of the movie is handled by Umesh Omanakuttan, who wrote the script for “Man Hole” previously. The makers are planning to go on floors by mid-June. The movie is expected to hit the theatres by the end of November and by December start.